Sympathy Cards for Wishing Peace | Comfort Someone Today | it takes two, inc.
A soft lavender background with purple cosmos and a brief yet meaningful verse make this greeting card the right choice for the expression of your sympathy. 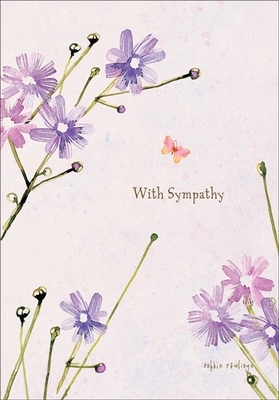 A wish for peace completes this lovely card. Order today and be ready to offer a word of comfort at a difficult time of loss. 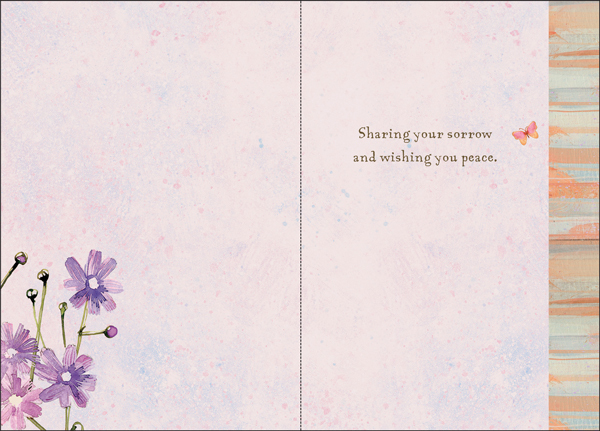 Inside: Sharing your sorrow and wishing you peace.